Oh Monday, we meet again but the past few Mondays have been a lot more fun thanks to my fall dress series with Tobi! 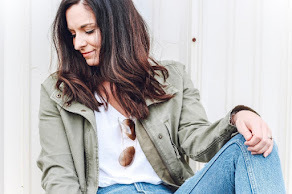 In case you missed it, I styled a gorgeous wine colored tie neck dress the first week and last week, I styled a pretty olive green tier dress. This week, I am embracing the fall temperatures that have finally arrived and I am loving sweater dress weather. 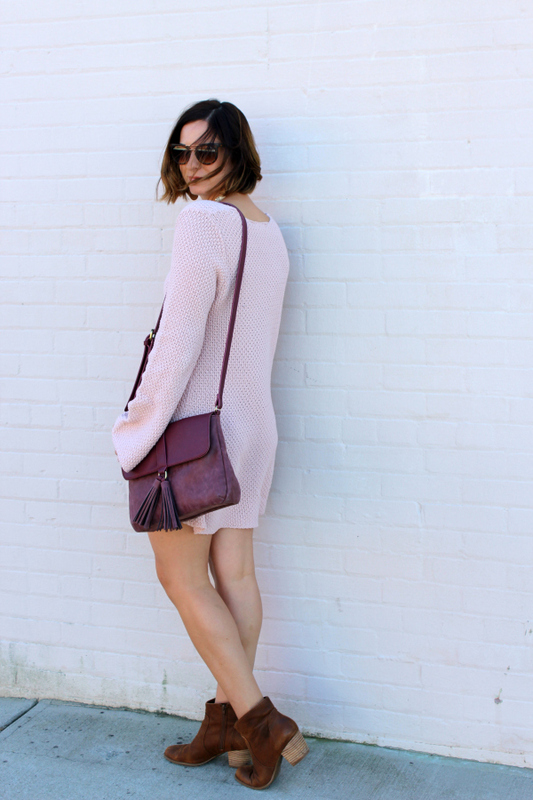 Tobi sent me this gorgeous blush sweater dress to style and I absolutely love this dress! I can't remember the last time I owned a sweater dress but this one is unlike any other sweater dress I have ever owned. This one has bell sleeves! I styled it with brown ankle boots, a berry colored bag, and a statement necklace. I am loving how the colors blush and berry compliment each other! It might just be my new favorite color combination of the season. I plan on wearing this dress straight through fall and winter by adding tights or switching up the booties for riding boots and adding on a blanket scarf. This dress also comes in navy and plum, which which would perfect for fall and winter as well. I am wearing a size small in this dress for size reference. P.S. this dress is amazing quality and is less than $30! Which Tobi dress was your favorite from this series? This sweater dress is amazing! I love it on you! Hope you have a wonderful Monday Emily!